My Adventure Companions: The Giant Baby, my hiking buddy and her little boy. 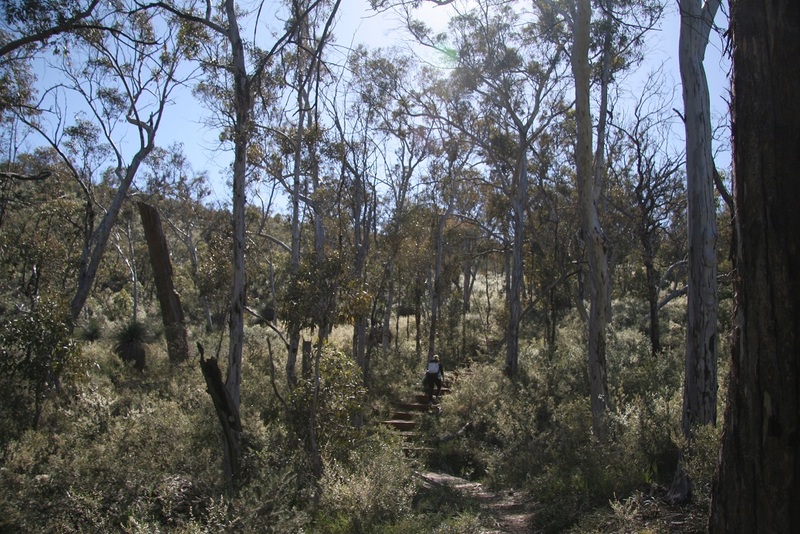 The info on the Paruna Wildlife Reserve suggests it may take between three and six hours to do their cutely named mid-length trail, the Quenda (which is actually 6.5km). 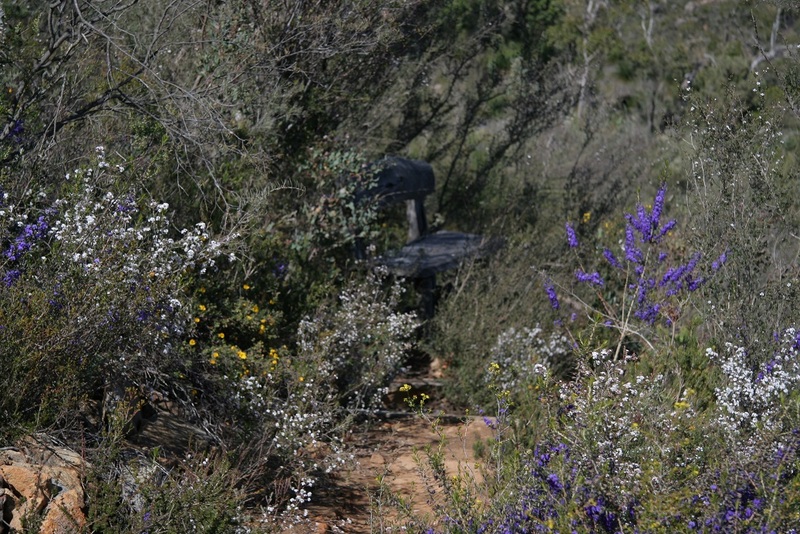 It is an absolutely gorgeous spot and with all the wildflowers, spectacular view and little detours to strategically placed lookout points, I now understand how someone may want to take six hours on the trail. My hiking buddy first told me about the Paruna Wildlife Reserve after she read a review back in January this year. It looked beautiful and we were both keen to visit but had shelved the idea until now because it is only open during the winter months. After a number of delays and a few weeks of sickly families we were both pretty excited to be finally getting out there. The countryside around Paruna has rolling hills, a deep valley with the River Avon running through it and, most importantly for mums of boys, a train line. It makes for a stunning drive and wonderful walking. The sunny but cool weather today was just the icing on the cake. We walked and chatted and marveled at the scenery, taking photos as we went. We stopped around mid-way to let the boys down for a little bit and feed The Giant Baby. 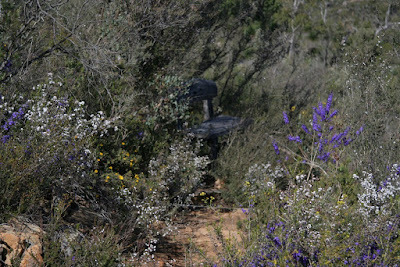 Sitting on the trail steps in the middle of a field of purple and white wild flowers on a sunny winters day was bliss. After weeks of snotty colds and interrupted sleep, I felt refreshed again. After our mid way stop, we picked up the pace a little, passing the rocky pools, walking way up above the train line and through a multitude of different landscapes. We even to stumbled upon a handful of wide eyed wallabies no more than twenty meters away from us. They stood around for a bit, eyeing us up, before speeding off over the hill. It was a challenging walk for me but I thoroughly enjoyed it. I would love to come back again and do the shorter, flatter walk with the whole family. I think that it would be just right for Mini Monkey. There’s a lot to explore with some lovely spots to have lunch and I think Mr MAP would enjoy the car ride out there. Comments from The Giant Baby: It was a grand day for napping. Car ride, nap. Tula ride, nap. Food, nap. Car ride, nap. Bed with my favourite Ellie, nap. And all before tea time. Such a lovely way to spend a day. Cost: minimum $10 donation – pay ahead of access to obtain pedestrian gate access code [instructions on website].